Whether you’re at the gym or the office, the Tough Armor case for the Apple Watch will guard against bumps and scratches. It’s constructed with high quality polycarbonate and TPU for a bolstered design that absorbs shock and gives a solid appearance. 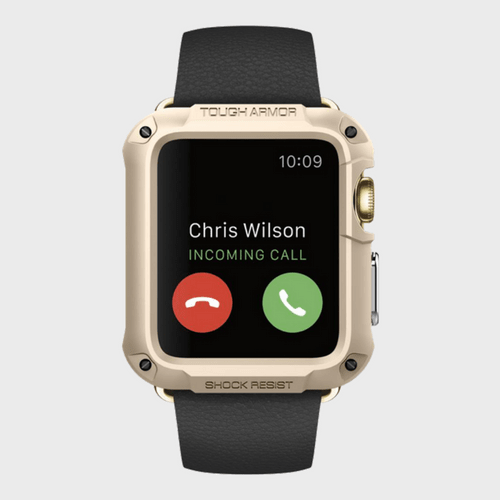 Buttons and wristband functionality are maintained to deliver active, multi-tasking protection for an active and multi-tasking lifestyle.